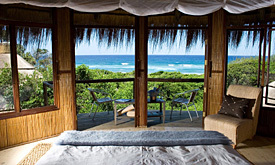 Thonga Beach Lodge – 2 nights‘ accommodation in Forest View room, all meals, teas and coffees, use of snorkelling equipment, guided walks, cultural tours, kayaking and sundowners on Lake Sibaya and nightly turtle walks (Nov to Feb). 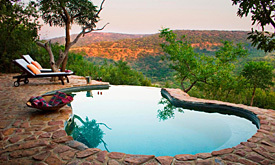 Rhino Ridge Safari Lodge – 2 nights’ accommodation in Safari Room, all meals, teas and coffees, 2 safari activities per day. 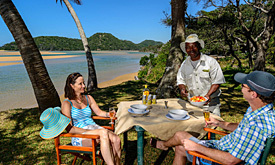 An optional activity is to spend a half day exploring deeper into the Kruger with your guide and a picnic. This must be pre-arranged and at additional cost. Golf can be arranged at nearby Skukuza Golf Course where you could share your tee with the Big 5! After enjoying your last breakfast at Thonga you will be transferred back to Coastal Cashews where you will collect your vehicle and continue your journey south towards Hluhluwe iMfolozi Park. 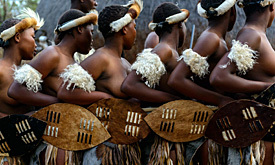 You may enter either via Memorial Gate in the north or Nyalazi Gate on the eastern boundary. 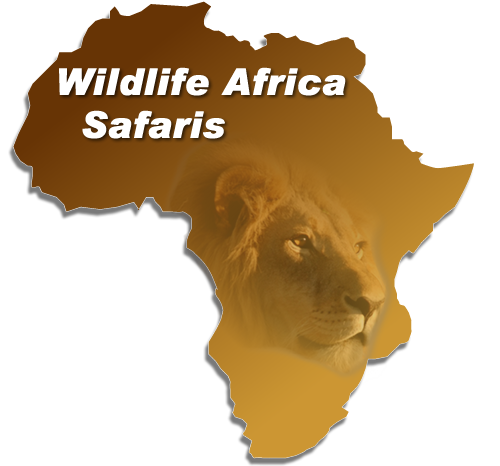 Your safari experience starts now and depending on what animals you spot on the way you could drive through the park between 30mins-1hr before reaching your destination. 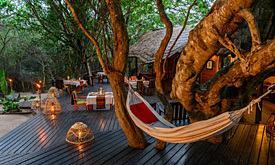 Rhino Ridge Safari Lodge is the only private lodge within the park with its 4 star accommodation, guests are offered spectacular scenery and excellent safari opportunities within the heart of Big 5 territory.